There are over 5,000 airlines in the world. I’m not going to list each and every one here, but you get the idea that the airline market is huge globally. 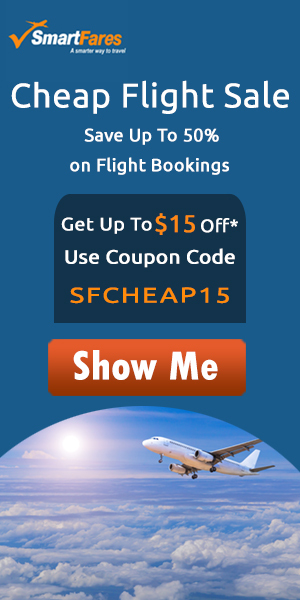 As a travel agent, there is not a whole lot of money to be made booking airfare by itself. You are better off searching it out yourself to find the best deals. We can give you ideas on where to search through the banner links below. You never know when you might end up on a longer layover than expected and need somewhere comfortable to stay for several hours without having to check into a hotel. Many credit card companies offer a partnership with airport lounges. You can find out more information here with OneWorld and StarAlliance airline loyalty programs. Traveling by train has its own advantages in that you don’t have to worry about pressurization in the cabin, like on a flight, and so might be a good alternative for those with inner ear issues. It may also take longer to get to a destination, however the scenery to view out the window along the way makes for a relaxing way to travel. Cross-country trips are available on Amtrak to see the USA, ViaRail to see Canada, the Trans-Siberian Express to see Russia and Mongolia. Other countries have train systems that are a great way to get around an unfamiliar country especially if you don’t want to rent a car and drive, and yet, you want your independence to go on your own schedule rather than pre-set touring with a travel company. Eurostar is a high-speed railway service connecting London with Amsterdam, Avignon, Brussels, Lille, Lyon, Marseille, Paris and Rotterdam. All its trains traverse the Channel Tunnel between the United Kingdom and France, owned and operated separately by Getlink.